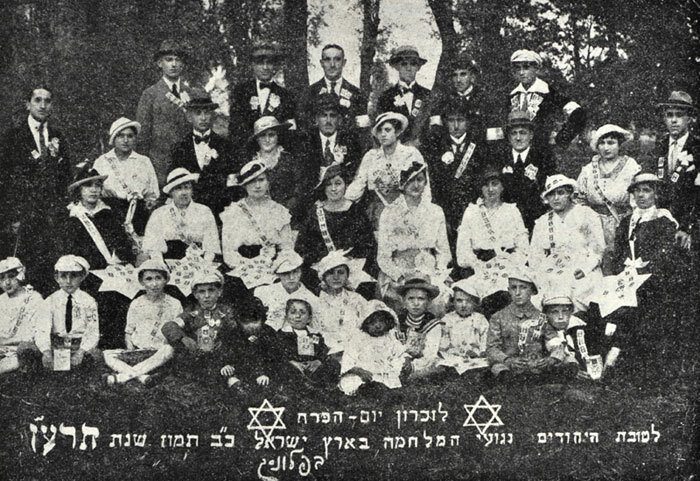 The Jewish community in Płońsk took part in a variety of cultural activities. 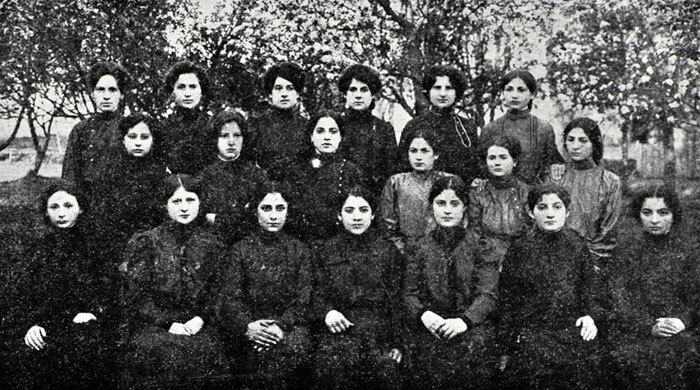 During Russian rule, the maskilim established a cultural organization called "Haor" (the Light), which later changed its name to "Tarbut" (Culture). After WWI, the organization's activities were reestablished, as was its library. The latter was housed in a large home with a lecture hall, where lectures - with electric lighting, which was new for Płońsk - were held on Sabbath eves for hundreds of people. The library had hundreds of beautiful literature and science publications in Hebrew, Yiddish, Polish and German. A group studying Gemara would gather there; there were Bible lessons in Hebrew as well as lessons in Hebrew literature and in literature that had been translated into Hebrew. It was like a traveling university – dozens of youth attended. 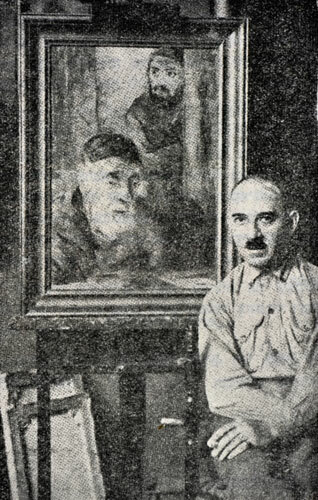 A bust of Herzl and a portrait of Haim Weizmann were installed there, painted by the artist Joseph Budko, a Płońsk native. The "Poalei Tzion Smol" party had a clubhouse in Płońsk with a library, which was used as a cultural center mostly by the lower income sector of the city. 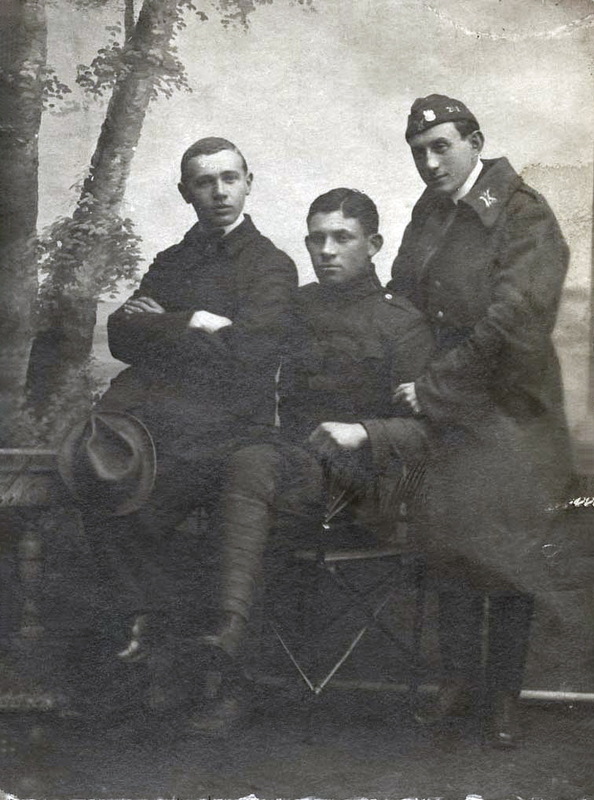 The "Bnei Tzion" association, which held similar activities, was also founded in Płońsk, as well as non-political Zionist youth societies, a children's association and a "Bnot Zion" association for the women of Płońsk. 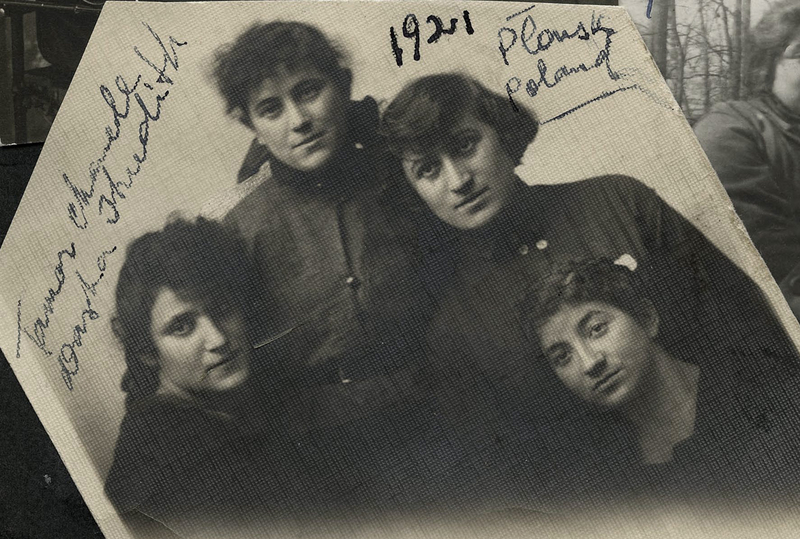 The "Women's Association" ("Frauen Verein") of Płońsk had two hundred members that paid membership fees and participated in aid and welfare activities, collecting money for Eretz Israel, and attending lectures on the topics of culture and sport. Their contributions helped the poorer members of the community with food and clothing, as well as to send their children on vacations in the countryside. Some of the members even gave shelter to underprivileged children in their own homes. Both a choir and a drama circle named after Y. L. Peretz were active in Płońsk. The drama circle put on plays by Shalom Aleichem (Shalom Rabinowitz), David Pinski, Anton Chekhov and Evgeny Chirikov, and held evenings of music and skits in the fire department hall. The entrance fees from the performances were donated to the aid and welfare organizations of the city, including "Bikur Cholim" and the "Chinuch Yeladim" (Children's Education) School. Members of the "Haor" (later "Tarbut") organization also put on a number of plays in Hebrew at the municipal theater. Many actors, singers and musicians came to Płońsk to perform. Visiting lecturers and writers read their works there, including the publicist and rabbi Hillel Zeitlin from Warsaw, the writer Yitzhak (Itzia) Meir Weisenberg, and the writer and journalist Yisrael Stern. Residents of Płońsk used the woods around the city to hike, ride their bicycles, and hold a variety of sports activities. The current in the Plonke River was in the main moderate and shallow, and swimming in the river was easy and safe. In one place, known as the "Der Kasalgriv" (the whirlpool), the water was three meters deep and too dangerous to swim. Swimming in that area was regarded as a matter of honor. Anyone that crossed the river there won great respect in the city. During the summer, the river was used for competitive and recreational swimming. In the winter it would freeze over and be used for winter sports. During the afternoons, some of the youth in the city would practice gymnastics in the square behind the fire station. They would exercise on ladders, jump over obstacles, and climb poles. Most of them did this in secret, for fear of being caught being frivolous. 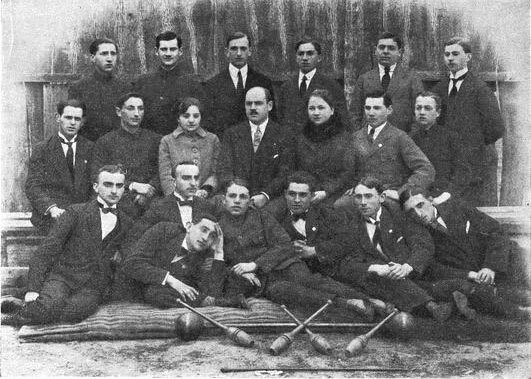 Following the German invasion during WWI, the "Maccabi" Jewish sports organization was set up in Płońsk. 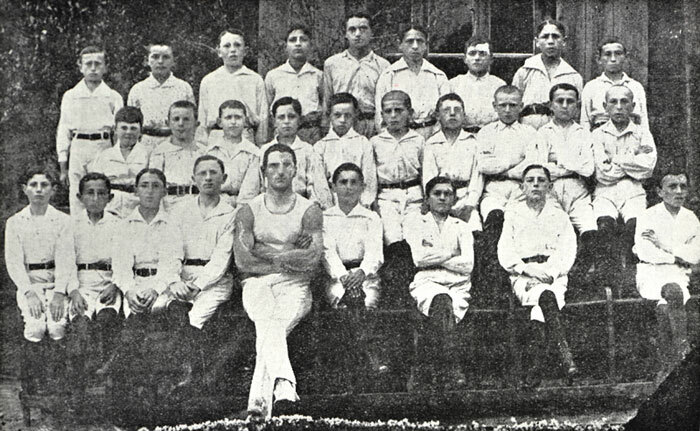 They collected money to buy exercise equipment – rings, a horse and parallel bars – invited a Maccabi coach from Warsaw, and allocated a training center. At first, this was the field belonging to the city fire brigade, and later a large grain warehouse that was refurbished and turned into an exercise hall. Members of "Maccabi" encouraged the Płońsk schoolchildren to join the movement and participate in exercise classes in return for token membership fees. 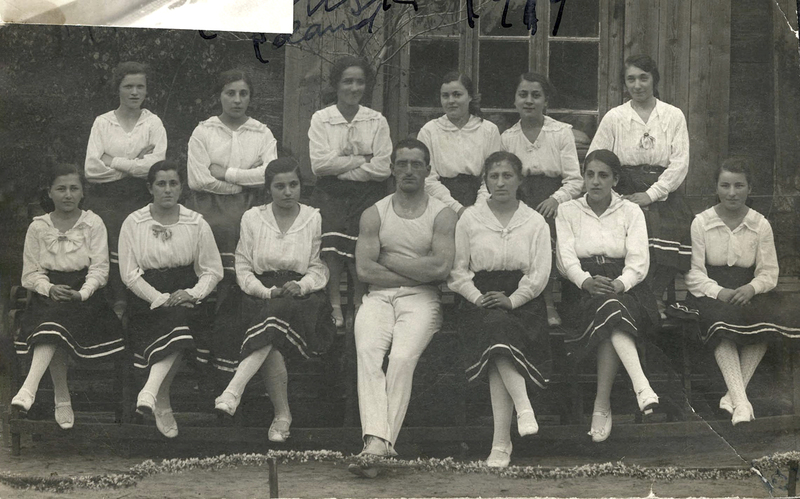 "Maccabi" appealed to the sports enthusiasts in the city as a non-political organization, although its members wore blue and white uniforms and its slogan – chazak ve'ematz (be strong and brave) – was in Hebrew, as were its training sessions and announcements in the sports hall. They also sang Zionist songs during parades. Even their organization's regulations stipulated that in the event of its liquidation, its funds and property would be donated to the JNF. A year after its establishment, "Maccabi" put on a show in which hundreds of youth from Płońsk took part, and thousands of city residents came to watch. Before the performance, a march took place through the city, with the wind orchestra at its head, accompanied by athletes in a white uniform. The artist Joseph Budko was born in Płońsk in 1888. He trained as an artist in Vilna and in Berlin where he studied engraving under Herman Struck. His early works were in graphics, engraving, etching and woodcutting, and later he began to paint. Budko developed a style that merged Jewish tradition with modern art, and in this spirit created illustrations for the Bible as well as for books by Bialik. His paintings capture the Jewish personality of Płońsk, including professionals, musicians and Bible scholars, as well as many of its sights, such as the market square, synagogue, Holy Ark and cemetery. Budko emigrated to Eretz Israel in 1933, and was one of the founders and directors of the "New Bezalel" School of Art, together with Boris Schatz. Joseph Budko passed away in Jerusalem in 1940.